Prospector Theater founder Val Jensen and fellow Prospects have arrived in Texas today and the first screening of 25 Prospect Street is tonight! We'll be publishing tour updates right here on HamletHub! Four years ago an award-winning filmmaker with ties to Ridgefield learned about the life-changing work happening inside the building at 25 Prospect Street in Ridgefield. Profoundly believing in The Prospector Theater’s mission of providing meaningful employment to adults with disabilities, Los Angeles resident Kaveh Thaerian was compelled to tell the world. “Kaveh kept in touch with one Prospect over the years and saw a Facebook post about the Prospector,” says Valerie Jensen, Prospector Theater founder and visionary. 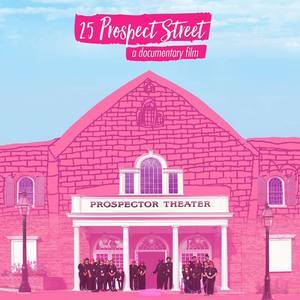 Thaerian, the Director, and Editor of 25 Prospect Street, a documentary about the inner workings of The Prospector Theater, reached out to fellow filmmaker from Texas, Andrew Richey. Thaerian and Richey are giving viewers a candid glimpse of the inner workings a start-up company - a nonprofit movie theater that is breaking down barriers of the archaic belief that those with disabilities were not capable or worthy of making significant contributions to society. “The whole documentary is incredible to watch...It’s both hilarious and makes you cry all at the same time. You will see the joys and the pains, and all we’ve been able to accomplish. It’s a cool journey,” says Jensen. Now, Valerie Jensen and a few of the Prospects taking 25 Prospect Street on the road! Beginning on September 14, they will be holding screenings in fifteen cities across the nation! “Munchie [Mike Santini], Rachel [Wise], K-Mann [Kris Mann], and I are going on an adventure. explains Jensen, who told us that they will cover a 600-mile loop in two days between Dallas, Austin. In addition to the screening of 25 Prospect Street, Jensen and team will engage in Question and Answer sessions with the audience. On the heels of the tour in Texas, Jensen and team will hit the windy city of Chicago and are planning a trip to California in October. How can Ridgefield help? Follow 25 Prospect Street on tour! Jensen will be documenting the journey on social media and encourages you to share the posts as well as the link to the 25 Prospect Street trailer. “They [the filmmakers want it to get picked up by Netflix or Amazon and in order for that to happen, they need a large fan base! They need people to like it on social media and share it on social media,” says Jensen. You can share the documentary by going to 25prospectStreet.com or The Prospector Theater website.